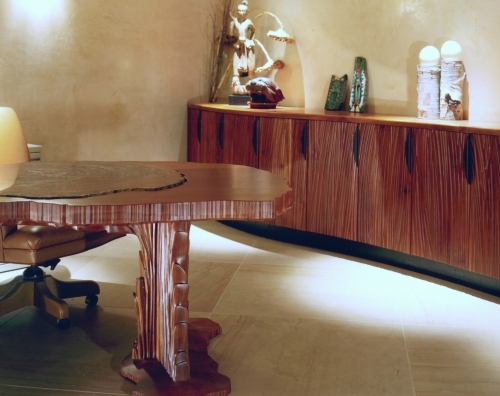 Cherry desks, detailed to mirror the rock formations of the Southwest, hold slices of petrified wood that serve as the writing and work surface. A hidden wire drop connects the slim monitor to the mini cpu that lives on the door of the small cubby between the back legs. 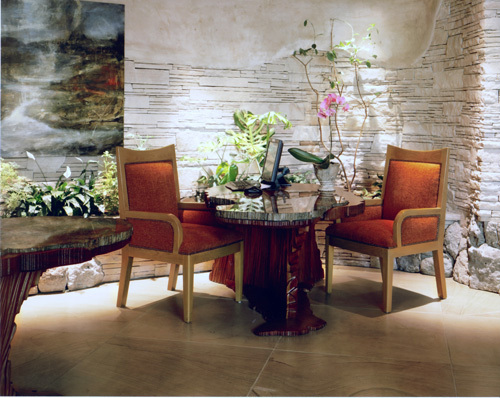 These two desks serve as the registration center of the El Monte Sagrado resort in Taos, NM. At the El Monte Sagrado Resort in Taos this beautiful desk and accompanying cabinetry in the Concierge’s Office. This desk has 2 legs that support a massive piece of petrified wood. The base and credenza are in cherry with a textured surface for added interest. The credenza features both cabinets with shelves and drawers to allow for storage of the broad range of necessities the concierge may be asked to provide. 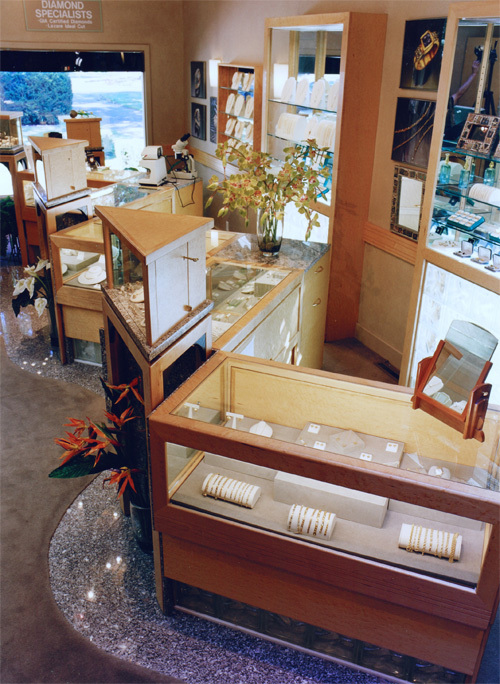 Jewelry store display cabinetry in birdseye maple. 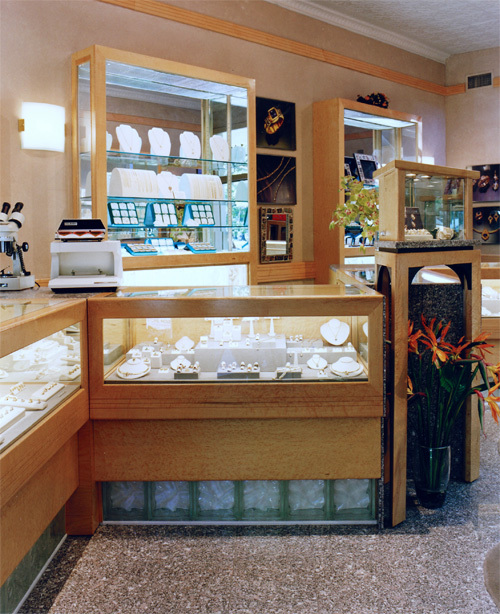 This retailer required displays that could compliment both the product and the space. 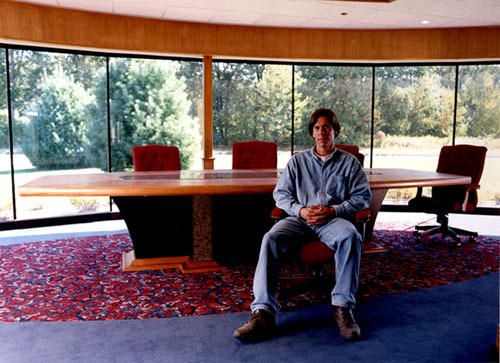 Kurt is pictured here in the conference room at this corporate headquarters. The cherry table has granite inlayed into the top and additional granite incorporated in the base.. The trim around the room and detailing the ceiling was fabricated in cherry as well.